helping them achieve more, faster. extension of their machine design team. At AroMech, our in-house staff becomes an extension of our clients’ design teams, delivering world-class Mechanical Engineering and Automated Equipment Design. Our people are the fundamental foundation that supports our success. Our clients are the only reason we are in business, which is why we take pride in knowing we have relationships that span decades. At AroMech, each client and project is unique. Our team has refined our processes and problem solving skills to rapidly adapt, integrate and apply our learnings for our clients’ benefit. Our broad range of experience, ranging from vacuum casting exotic materials, laser measurement, medical support equipment, development of fatigue testing equipment, molding and bonding dissimilar materials and other areas helps us deliver success on time and on budget. Our team is experienced in the latest 3D Parametric Solid Modeling Packages and Simulation Tools. 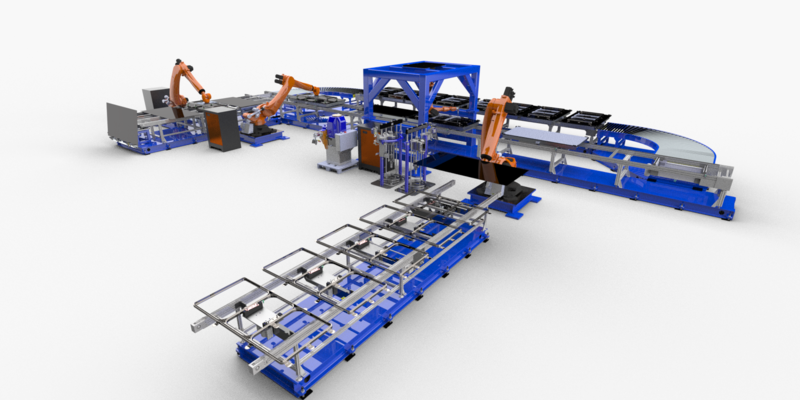 AroMech’s Machine and Tooling Design group has one of the most extensive backgrounds in Automated Machinery and Tooling Design Systems in the nation. We ensure when we work with our clients to design a machine that delivers expectations for safety, setup, function, cost and business viability. We know our clients have demanding production environments and design the right machine to meet the need. As a virtual extension of our clients’ design teams, AroMech places a premium on innovation to provide better collaboration with our clients. 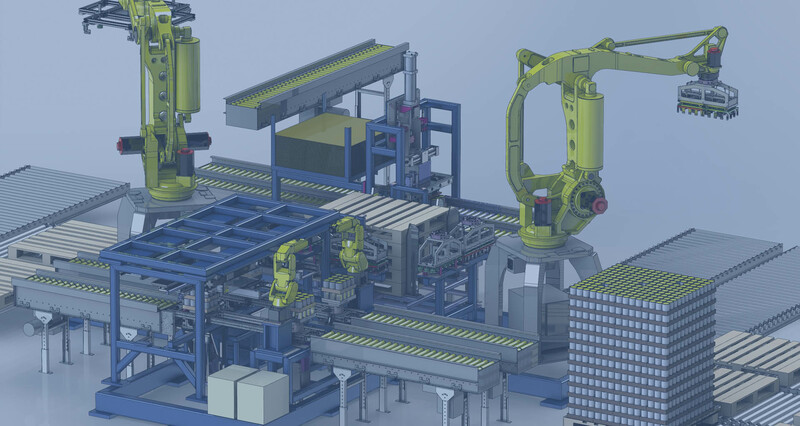 From advanced 3D virtual and augmented reality modeling that allows us and our clients to see how a machine will fit specifically into their facility, realistic renderings and video simulation, aromech clients can have complete access and assurance to know the final product will meet their expectations and demands. AroMech is recognized as an industry leader in using SolidWorks. Our team possesses a collective mastery of this program, consistently testing and developing custom code for greater efficiency and a knowledge base that gets transferred for our clients’ benefit. 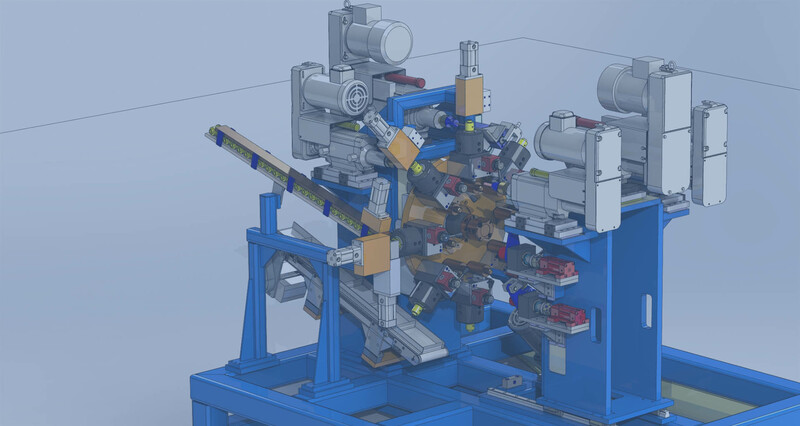 SolidWorks has consistently recognized AroMech as a leader, connecting with our team for insights, feedback and early access to ensure their product is delivering to the needs of the best users. This is a distinct benefit for our clients as we impart best practices and additional training to make design teams more efficient.